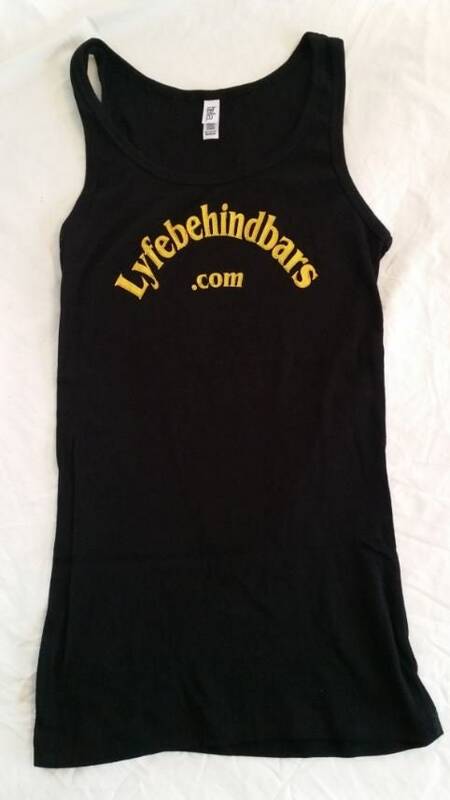 Natanic's "Lyfebehind Bars" tank top. Single running, very limited supply! Bella brand, 98% cotton, 2% Spandex. Natanic's only done one T-shirt run to date, and these are what's left! Very limited supply, and not many size options, so better grab it while you can! Great collectible Tank Top for any Natanic fanatic! 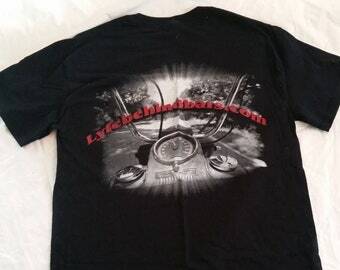 Natanic's "Lyfebehind Bars" T-shirt. Single running, very limited supply! 11x14 inch framed print of a Harley riding in the snow!!! Such a cool little box. I love it! This is a very nice photo. I am impressed with the quality. It was very well packaged and marked fragile. I will be buying from this seller again. Excellent item and service. Thanks, Peter Davila, Bronx, N.Y.
Payments through Etsy are accepted. Payment is expected at the time in which you place your order. I do not refund the shipping rates, sorry. I work an intense schedule onsite for various projects and I'm frequently on the road, so I typically only ship once a week. If you need something in a shorter time frame than this, please feel free to contact me before placing an your order, and I'm sure we can work something out to fit your needs. All items are shipped via USPS Priority Mail, and shipping prices for each item include insurance to cover the listed purchase price. I do not ship over seas... Sorry. In some occasions, I might be able to send e-mail a digital file of a particular image, if it was photographed in digital format. Please see Additional Information below on this subject. I typically do not take customer orders. My items are already in stock in their own particular size and frame, if frame is included. I do not ship items over seas, but in some cases, I might be able to e-mail a hi-res digital file of a particular image, if it was photographed in digital format. Please keep in mind that I got started in photography before digital cameras were available, so many of my prints seen on Etsy were from negatives and slides. All these request are priced on a case by case basis, and in most cases will be priced higher than the actual prints available. Natanic Sticker pack - ALL 5 designs!